Provide comfort for the family of Edward B. Mix, Jr. with a meaningful gesture of sympathy. Edward B. Mix, Jr. 75, of Farmington, CT passed away Tuesday, April 2, 2019 at UCONN Health, Farmington. Edward was born on July 18, 1943 in Philadelphia, PA and was the son of the late Edward B., Sr and Helen (Boldezar) Mix. He moved to CT with his family in 1950 first to Forestville and later made his home in Farmington. Ed attended Central CT College and served his country honorably in the United States Air Force during the Vietnam War. He retired from Goodrich Corp., West Hartford after thirty-seven years in 2005 as a configuration engineer. Having a passion for motorcycles his best adventure was riding a new BMW from Alaska to CT with his riding partner and best friend Matt Strus. Edward is survived by his brother David Mix of Richmond, VA. also his extended Strus family and many nieces and nephews. 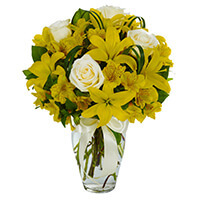 To send flowers in memory of Edward B. Mix, Jr., please visit our Heartfelt Sympathies Store. We encourage you to share your most beloved memories of Edward B. here, so that the family and other loved ones can always see it. You can upload cherished photographs, or share your favorite stories, and can even comment on those shared by others. Carol and Mike Balmer sent flowers to the family of Edward B. Mix, Jr..
Dave, May God bless you and your family in this time of sorrow. I haven't seen Ed in nearly fifty years, and remember him being a pretty good guy, and looking exactly like the picture here, except with a motorcycle jacket instead of the military uniform. May he rest in eternal peace. I worked with Ed for 15 years at Goodrich. He was a great person to work with an be around. My condolences to his brother Dave. Carol and Mike Balmer purchased the BRIGHTEST MEMORIES for the family of Edward B. Mix, Jr.. I am so sorry for your loss please take comfort in the scripture at 2 Thessalonians 2:16,17.